MOMS Lancaster is an authorized Polaris®, Vanderhall, and Stihl dealership serving the Lancaster, New Hampshire area. We are proud to carry a large selection of new and pre-owned inventory, as well as, firearms and ammo, parts, accessories, apparel and service. When you are ready to invest in a new snowblower, chainsaw, chipper, lawn mower, log splitter, motor grader, grinder, snowmobile, UTV, or trimmer, our friendly and knowledgeable sales, financing, service and parts departments are prepared to make sure your experience is outstanding, from assisting while you’re making your choice to ongoing maintenance and customization. At MOMS Lancaster, we value the opportunity to create a long-term relationship with our customers, and we do that by giving you the best customer service available. Pre-owned motorcycles, including sport bikes, cruisers, off-road, and street bikes. MOMS North Country’s July 22-23 grand opening will feature special prices on select products, free ice cream, and live entertainment. Professional chainsaw artist Alan Reynolds will create wood carvings using STIHL chainsaws, and a STIHL factory rep will be on hand to offer product information. Drawings will be held for door prizes, including STIHL power products, firearms, and ammo (no purchase necessary). For off-roaders, there will be a free ATV wash using a STIHL pressure washer, and there will be a car and motorcycle show with MOMS North Country sponsoring the Best of Show and Best Motorcycle trophies. Local, county, and state dignitaries have been invited for a ribbon cutting at 1 p.m. on Saturday, July 22. Ample parking will be available, and the service department will be open both days. MOMS was founded in 1973 in Manchester, N.H., and with nearly 45 years of outstanding sales and service, the MOMS brand is familiar to riders throughout New England and eastern Canada. That brand awareness will make MOMS North Country a destination for the region’s on- and off-road riders. MOMS North Country is easily accessible by off-road riders and snowmobilers on area trails, and to motorcyclists and Polaris Slingshot riders touring the area. The MOMS North Country staff has over 100 years of cumulative service at the store, so team members know the residents, the attractions, and the best riding in the area. MOMS North Country has distilled its product lines to focus on what best meets the need of area residents and visiting riders. 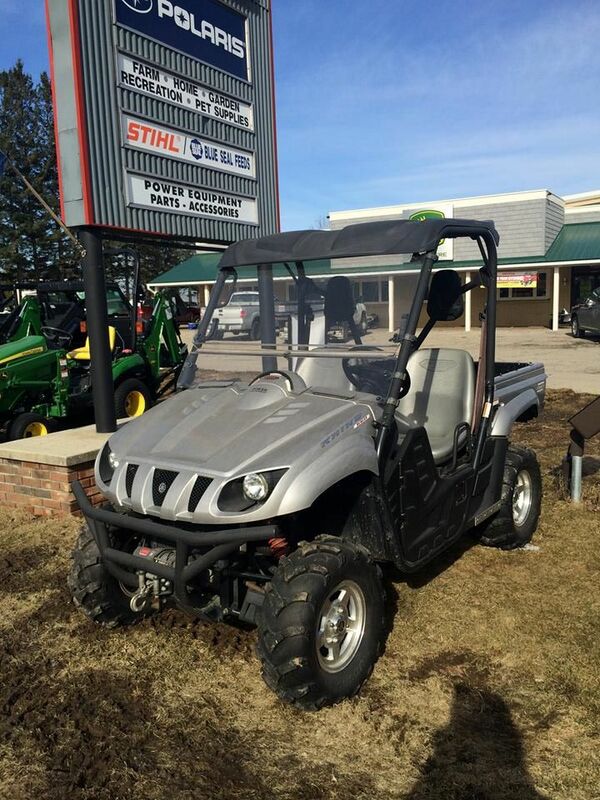 The staff includes experts on firearms and hunting, STIHL products, Polaris vehicles, and motorcycles. MOMS North Country also offers a large selection of motorcycle accessories and apparel to make Lancaster a must-visit destination for riders touring New England. MOMS was founded in 1973 as Motorcycles of Manchester [NH]. The family-owned business started as a source of pre-owned motorcycles, parts, and service. The company has since become the Northeast’s powersports leader, offering a wide range of new and pre-owned vehicles, unmatched customer service, outstanding technical service, accessories, and apparel. MOMS dealerships have access to vast financing resources and offer personalized financing to suit each customer’s unique needs. There are MOMS dealerships in Manchester and Lancaster, N.H., and in Foxboro and Revere, Massachusetts. The company is among the top five U.S. dealers for Indian Motorcycle, Slingshot, and Polaris off-road vehicles. In just two years of carrying Yamaha motorsports products, MOMS is among the leaders in U.S. sales of Yamaha products. MOMS dealerships also offer vehicle rentals through EagleRider.